MyFirstTab.com or My First Tab Search is a computer threat that targets homepage of browser application and starts it with the same web address. Obviously, user’s own selection or choice is ignored at this point. MyFirstTab.com can occupy homepage, new tab, and default search tool without user’s approval through the installation of browser extension. The same code is also accountable for retaining MyFirstTab.com on the browser even if user manually changes the settings repeatedly. MyFirstTab.com normally arrives on the computer by means of software bundle. It can be injected onto the computer with the help of free games, tools, media players, download manager, bogus software update, and assortments of programs that was made for software-bundling role. Thus, it is very important to be very cautious when downloading freeware. Obtain programs only from reliable sources that disclose contents of the freeware. However, this is not the cases most of the time. Dubious freeware that are relevant to MyFirstTab.com applies stealthy installation method to load unwanted application. Therefore, users are astounded on the sudden appearance of MyFirstTab.com on their browser. Some people even deemed this unusual change as form of virus infection. Technically, MyFirstTab.com is not a computer virus. Security experts classified this threat as Adware or Potentially Unwanted Program (PUP). Unlike viruses, MyFirstTab.com never inflicts changes on operating system and files. As mentioned earlier, popular browser programs are the main target of MyFirstTab.com. The goal is simply to spy on user’s web browsing activities especially on search keywords and phrases. MyFirstTab.com also aspires to gain online revenue by displaying paid links and profitable advertisements. If you wish to remove MyFirstTab.com from the computer, please follow the procedures as outlined on this page. 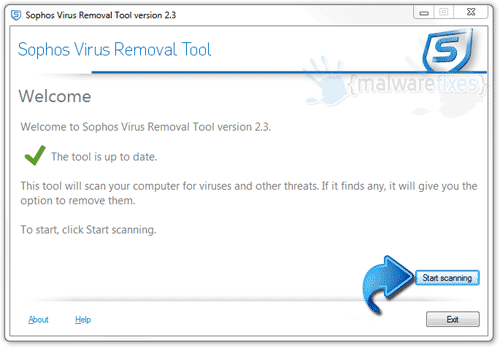 Scan the computer with virus and malware removal tool to ensure that no more adware is left behind. Most homepage hijacker and redirects are using a program called browser extension to be able to take over the settings of internet applications. Therefore, we highly recommend to check and remove the extension that is closely related to MyFirstTab.com. 3. Find MyFirstTab.com or relevant entry and remove it from Google Chrome. 4. Look for object that is pertaining to MyFirstTab.com and remove it from the browser. 5. Select MyFirstTab.com or relevant entry and remove it from Safari. 3. Look for and Remove or Disable entries of MyFirstTab.com from Toolbars and Extension and Search Providers section. 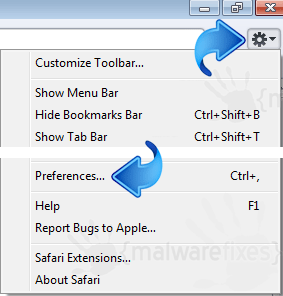 If MyFirstTab.com is still present on the IE browser, another option is to remove the adware from Windows Control Panel. 7. Select MyFirstTab.com or recently installed unwanted entry. Then, click on Uninstall to remove it from Windows system. In addition to the procedure, we suggest scanning the computer with AdwCleaner tool. Possibly, there are some traces of MyFirstTab.com on the browser that was not deleted during the preceding steps. This tool will scan the computer and check for presence of malicious applications. 2. When the download has completed, please close all running programs on the computer especially browsers affected by MyFirstTab.com. 4. AdwCleaner searches the computer for malicious programs, extensions, plug-ins, adware, and any items that may be associated to MyFirstTab.com. Preceding steps may have removed MyFirstTab.com from the browser already. This next procedure is needed to double-check that browser is free from any adware remnants especially from MyFirstTab.com. Avast Browser Cleanup is a free tool that restores the browser to its initial, clean state. It will get rid of annoying browser extensions, toolbars, and search hijackers. 4. If Avast Browser Cleanup verifies if you want to permanently delete suspicious entries, click Yes to proceed with the removal of MyFirstTab.com. Lastly, we will scan the computer with a multi-function security program. This will inspect the computer for possible presence of virus, malware, rootkit, adware as well as unwanted homepage like MyFirstTab.com. 5. Internet connection is required when running this scanner in order to download important updates. Make sure that everything is up-to-date to effectively remove malicious program like MyFirstTab.com. 6. Click the button to carry out the Scan. This will check the system for presence of malicious objects, malware, and viruses. The tool reveals items that were found linked to MyFirstTab.com and other suspicious entities. Be sure to remove all identified threats. Not all browser hijackers are the same. Some cannot be removed by deleting relevant extensions and codes. On this instances, resetting the browser to default configuration is the only best solution. If MyFirstTab.com is still bothering you after completing all the steps above, please execute the procedures below to reset the settings of affected browser program. This function will reset Google Chrome’s home page, new tab page, search engine, and other areas affected by MyFirstTab.com. Unwanted extensions will also be removed from the browser. This will not affect your bookmarks, history, and other saved data. You may also use Chrome Cleanup feature for advance scanning. See more details on this page. If Mozilla Firefox is affected by MyFirstTab.com and procedures above were not helpful, we suggest that you carry out these steps. This process can fix the issue by restoring Firefox browser to default factory state. Most browser data will be affected but not bookmarks, browsing history, passwords, and internet cookies. Extensions and other installed plug-ins maybe deleted by this function. Therefore, if you wish to remove specific extension only, please see manual add-on removal from this link. 4. The reset process will automatically close the browser and proceed with the restoration. Next, it will display a list of restored data. MyFirstTab.com should be gone by now. Click Finish to close the current window and open a fresh window of Mozilla Firefox. 4. Pop-up window will appear. 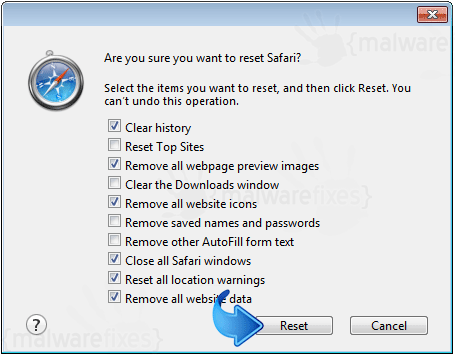 You may select all boxes for total reset or follow the options below if you only want to remove MyFirstTab.com from Safari browser. This process will not affect browsing history, bookmarks, and favorites. Add-ons and other integrated codes will be deleted including those that are linked to MyFirstTab.com. If you choose to perform the procedure manually, please view instructions here.